When it comes to off-road riding nothing puts fear into a novice rider’s head like a steep, rocky gradient, Dylan Jones shares his secrets for mastering downhill riding. Gravity will always assist you downhill, but ideally we want to be able to descend down the slope confidently and in control. A lot of people struggle with downhills due to a lack of confidence, so if you’re new to off-road riding start with shorter, gradual hills and progress to longer, steeper ones as your confidence and ability grows. When using the brakes riding off-road, you need to be confident using both brakes to help slow you down, with a bias of 60-70% front to 30-40% rear. Braking should be done as much as possible when the bike is going in a straight line and in an upright position. Avoid sudden, hard braking as this will result in the wheels locking up, instead use them progressively. If you lock the wheels up, try not to panic, but release the pressure on the brakes and then gradually re-apply. If you are a beginner, engine braking can be very helpful. 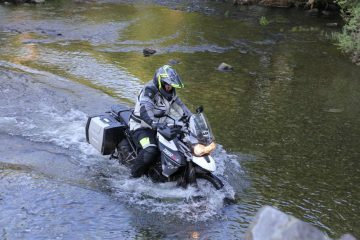 To go down the slope slowly, select first gear and leave the clutch out, the engine will do a lot of the work for you. You can then assist with the brakes if needed to control your speed. Use the front brake lever with one or two fingers and not your whole hand, as this will allow you to use the lever whilst maintaining a good grip on the handlebars. Again, cover the clutch with one or two fingers in case you need to use it to prevent the bike from stalling, but only pull it in if you need to because as soon as you pull the clutch in you will lose any stopping power. When at the top of a downhill, look as far down as possible, scanning for any potential hazards such as loose rocks, steps, ruts or changes in surface. This will then enable you to select the best possible route down. Look for the line that gives you the best grip to use the brakes so that you can control your speed on the way down. There are certain surfaces such as wet slab rock where you have to avoid using the brakes because it can be like ice with barely any grip. If you try to stop on these areas, the likelihood is that the front will lock up and slide out from underneath you causing you to fall off. 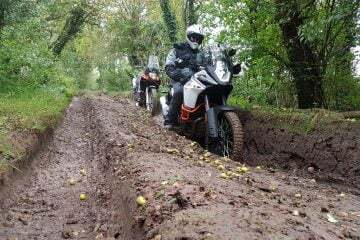 If you need to tackle a section like this, apply the brakes as you approach but then release the pressure as you ride over the hazard, once you have crossed the slippery area gradually apply the pressure again. 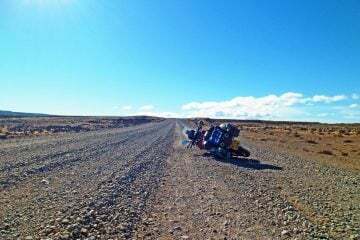 Ideally, you should adopt the standing up position for coming down the slope as this will make it easier to keep your balance and change direction by weighting the footpegs. The steeper the descent, the further back you will need to get your weight in order to keep the rear wheel firmly on the ground, ensuring that the rear brake is still effective. If you have your bodyweight too far forward on a steeper hill whilst applying a lot of front brake it can cause the rear wheel to lift off the ground and cause you panic. If you are not confident or the downhill looks particularly technical with ruts or big rocks, you may feel more confident sat down. The use of the brakes would be the same as if you were standing up. 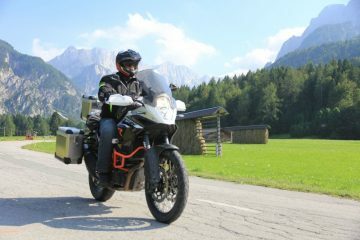 If you need to go very slowly, slower than your bike wants to go in first gear, you will have to pull the clutch in to prevent it from stalling or going quicker than you want it to. When you start to go very slowly sitting down, you will find it very difficult to keep balance. What you need to do then is to put your left foot down to dab with as you descend the hill to prevent you from overbalancing. It is very important to keep the right foot on the footrest as much as possible so that you can still use the rear brake. Now you know how to tackle the downs, it’s time to master the ups. 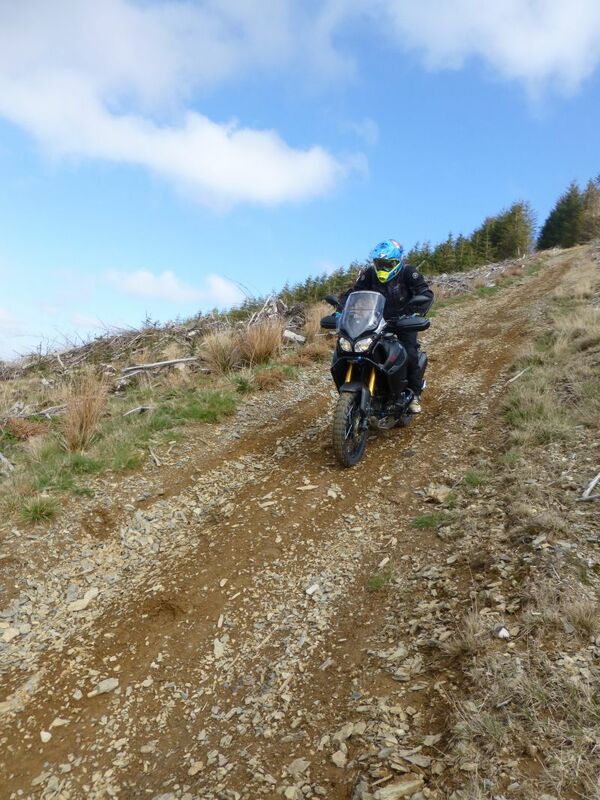 Check out our guide on how to ride your motorcycle up steep inclines. Dylan Jones is the son of multiple British Enduro Champion, Geraint Jones and began riding bikes at home on the farm at the age of five. 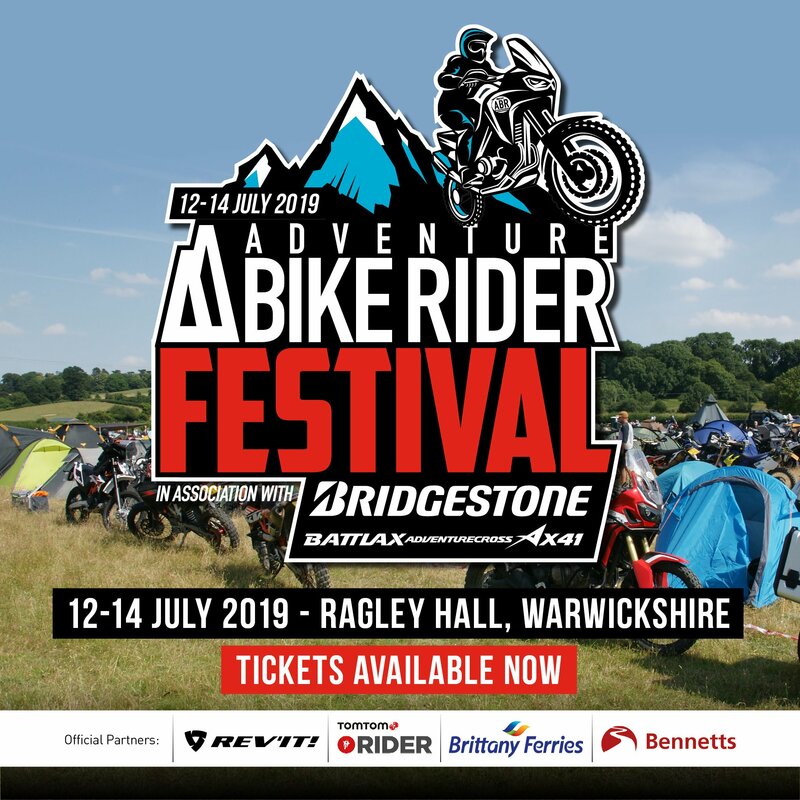 He started racing enduro at the age of 16 in the British, European and World Enduro Championships, winning a number of classes in the British Championships. He has represented Great Britain at the ISDE at both Junior and Senior levels, winning four gold medals. 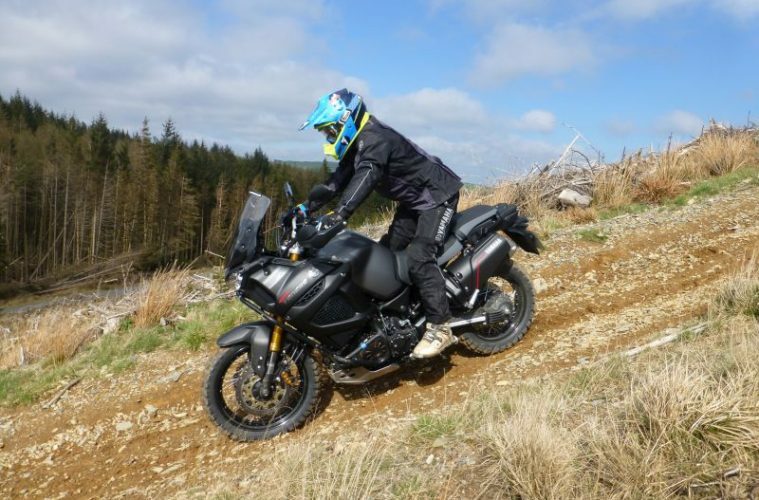 Dylan has been an ACU qualified commercial instructor for 15 years and runs the Yamaha Off Road Experience in Wales, teaching people how to ride both enduro and adventure bikes.